With six days until the election, gubernatorial candidate Paul Davis, a Democrat, is touring the state one last time before voters go to the polls on Tuesday. 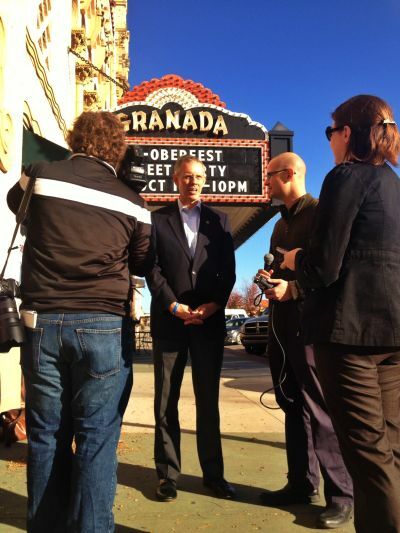 He stopped at the Democratic headquarters in Emporia this morning. “Well, we’re certainly not having those conversations anymore,” Davis told the crowd. The race is close, the candidates are neck-and-neck in the pre-election polls.